When it comes to summer treats, root beer floats has always been a family favorite. Growing up I rarely saw my mom drink any soda with the exception of root beer. And since she is a vanilla ice cream fanatic, it comes as no surprise we had root beer floats often. Obviously root beer + vanilla ice cream in the house = root beer float. (Shouldn’t even have to explain that one.) But Jennifer Grossi shares her recipe for Root Beer Float No-Churn Ice Cream below and now I have a new way to enjoy this favorite summer treat. I hate to admit that I actually don’t even own an ice cream maker. My mom does and I always figured if I really needed homemade ice cream I could steal borrow hers. Kitchen storage space is at a premium in my house and I never could find a proper place. 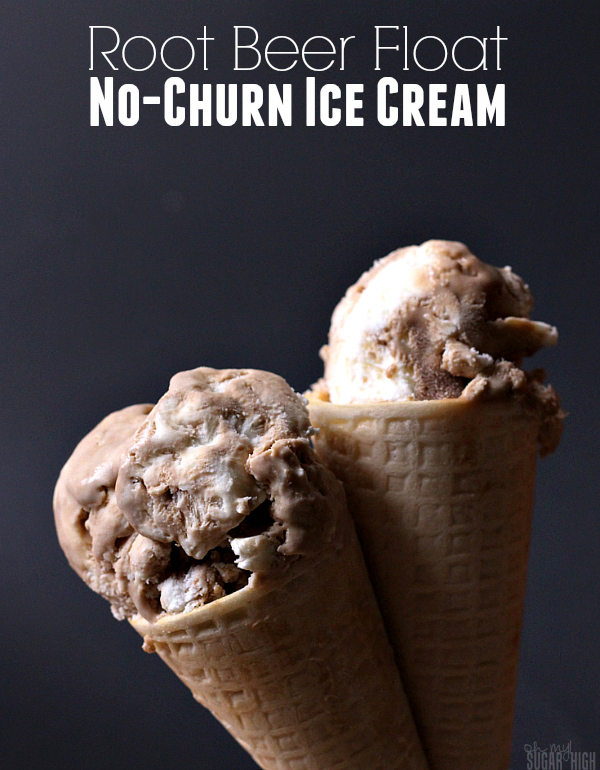 Now with the popularity of no-churn ice cream, it isn’t even necessary. 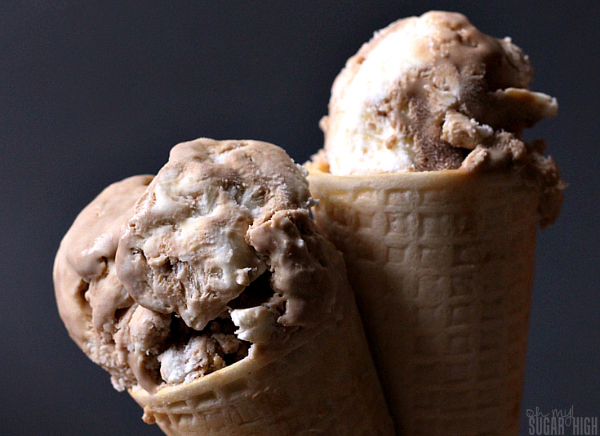 With just a few simple ingredients, homemade ice cream is just a couple of steps away. Whip the whipped cream on medium-low speed in large bowl for up to 10 minutes until frothy peaks form. In medium bowl, mix sweetened condensed milk and flavor extracts thoroughly. Slowly add the condensed milk mixture into the whipped cream. Transfer the entire contents into a standard sized loaf pan, cover tightly with plastic wrap (or a lid), and freeze at least 5 hours or overnight. 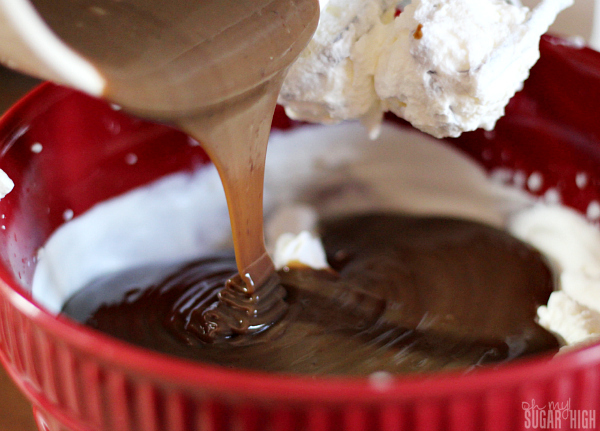 Be careful not to over mix when stirring together the condensed milk mixture and whipped cream. While a small loaf pan works great for freezing, any small, freezer-friendly dish will do! 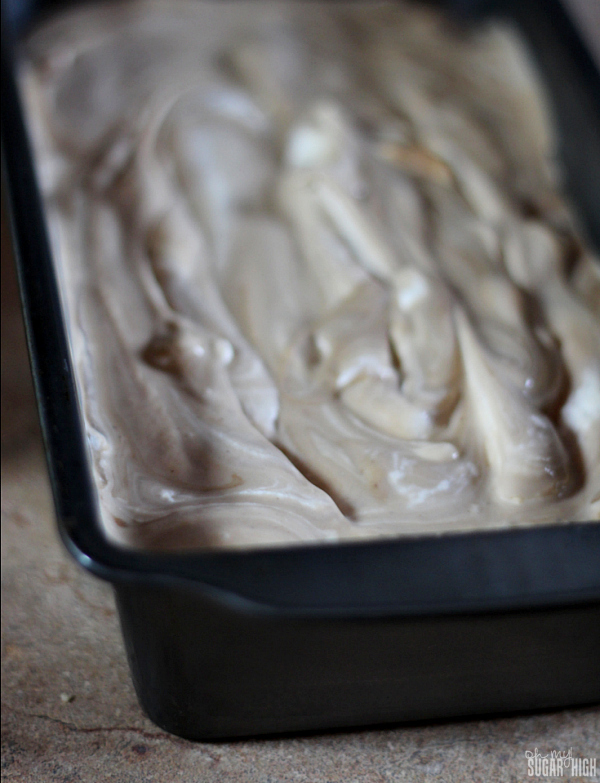 Surprise your family or guests with this easy, no-churn root beer float ice cream! I need to make this right this minute! Thanks for linking up with What’s Cookin’ Wednesday! OH. MY. GOSH. What a fantastic idea! Looks amazing, too! Thanks so much for taking the time to link up with us over at the #HomeMattersParty – we hope to see you again on Friday!